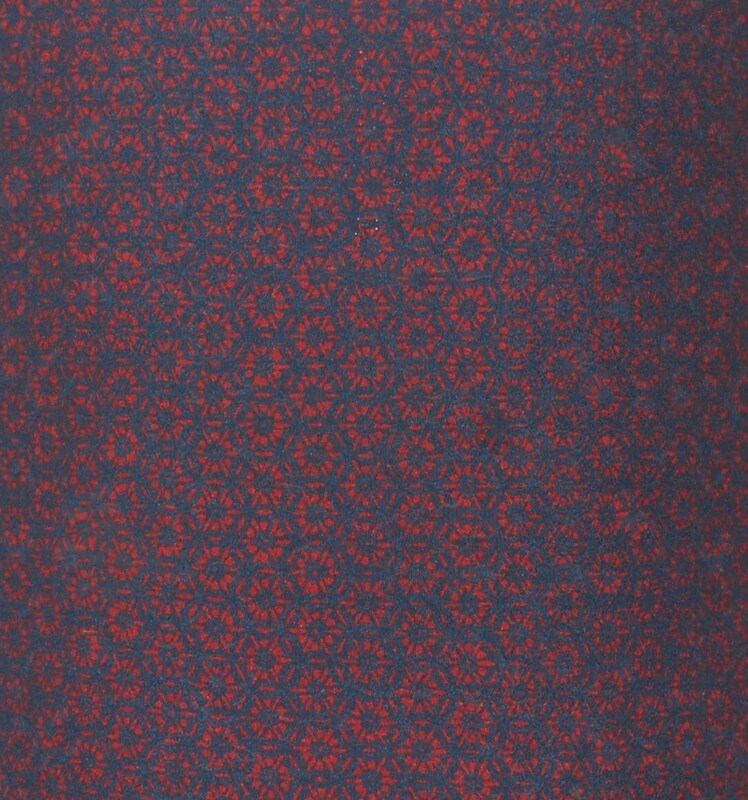 Handmade floral lampshade created with vintage kimono silk, this shade has a red chrysanthemum motif on a navy background in a hexagonal pattern in traditional Japanese design. 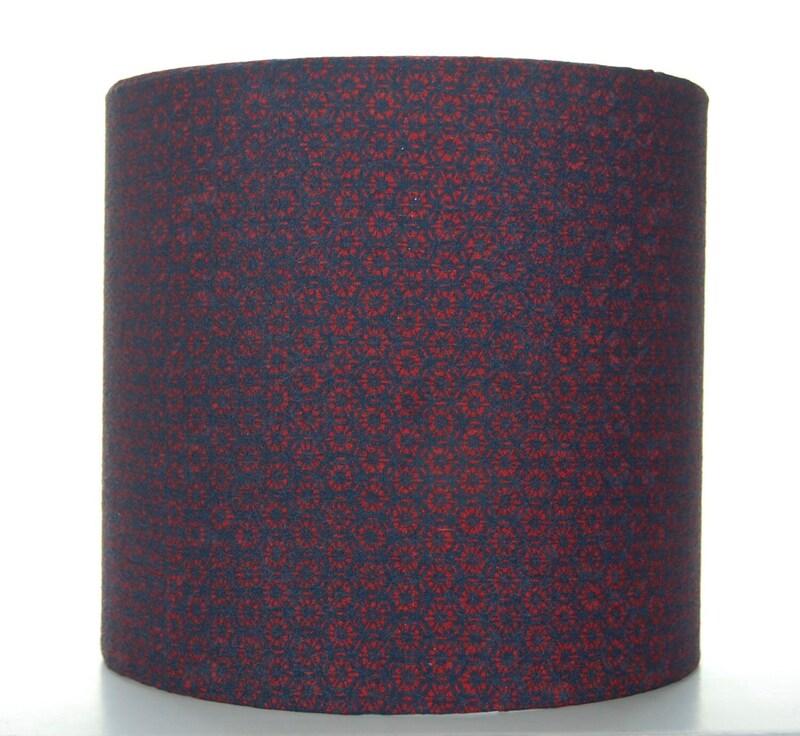 As this lampshade is made from vintage fabric, it is one of a kind; there is only one available. This beautiful lampshade can be used with your favourite lamp or with a standard ceiling fitting. Cleaning instructions: this can be dusted with a soft cloth or duster. Avoid contact with water.